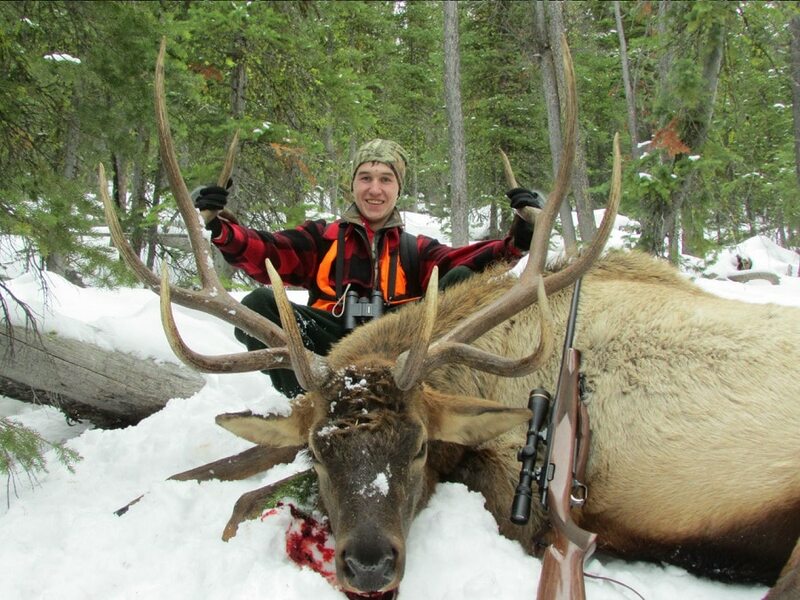 First-time elk hunters are usually faced with the impasse of choosing the best elk hunting rifle. This is so because elks are larger when compared to deer. 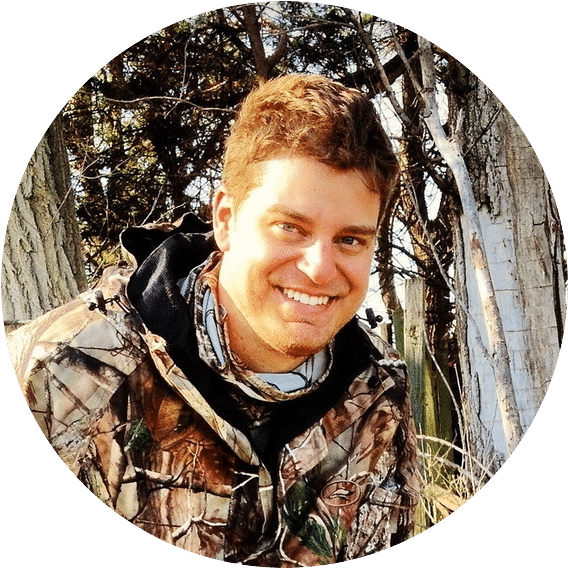 Regardless of your hunting experience, you should never be intimidated by an elk’s size, because if you do, you will believe that only a big bore magnum will offer you the required shot and power. Beyond any broad guiding principles, the choice is always personal. There are various widely accepted standards and popular calibers that can definitely work for you. The list of product reviews provides you with adequate buying information. Any decision made of rifles for elk hunting must address the extreme shot, the one that is flawed, but achievable. You do not want to take a dubious shot that has a low percentage of success. 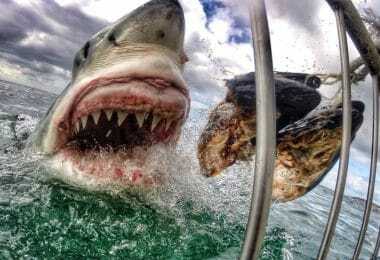 You can attain the best shot by considering the following. Caliber: Your success rate depends entirely on the position of the target. You can easily take down a well-positioned elk with a .243 or even a 223. However, you must place the shot with absolute accuracy. 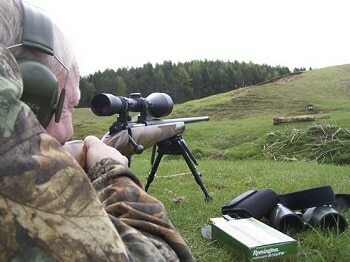 Your success rate will be high if you use a rifle with enough energy, allowing you to hit the target with precision. Always go for a caliber that is legal in your State, avoid any confrontations with the law. Try not to go light when hunting big game. You can always check a ballistic table to determine the performance of the rifle and bullets you are buying. Some recommended calibers include: 223-Rem, 7mm Rem, 308 Win, 338 Marlin Express, 243 Win, 270 Win, 338 RCM, and 444-Marlin. Design Features: The two most significant design features that you must always remember to take into consideration are stock and barrel profiles. As far as the stock is concerned, you are normally presented with a wood or synthetic stock. With that said, black synthetic stocks, and dull metal finishes are usually recognized to be weather resistant and easy to maintain. Synthetic stocks have additional benefits when compared to the wood versions. They are impervious to moisture; therefore, they do not swell or contract when in contact with water. Nonetheless, your choice is based on personal preference. Design Specs & Features: Short action; 223-Rem; 20-inch barrel length; 40-inch overall length; 13¾-inch length of pull; 7/8-inch drop at comb; 1-5/6-inch drop at heel; 4-round detachable magazine capacity; 12-inch twist rate; barrel finish matte; satin stock finish; barrel contour sporter; aluminum alloy receiver material; matte nickel receiver finish; stainless barrel material; laminate stock material; recoil pad polymer; steel trigger guard material; alloy trigger material; and gold plated trigger finish. 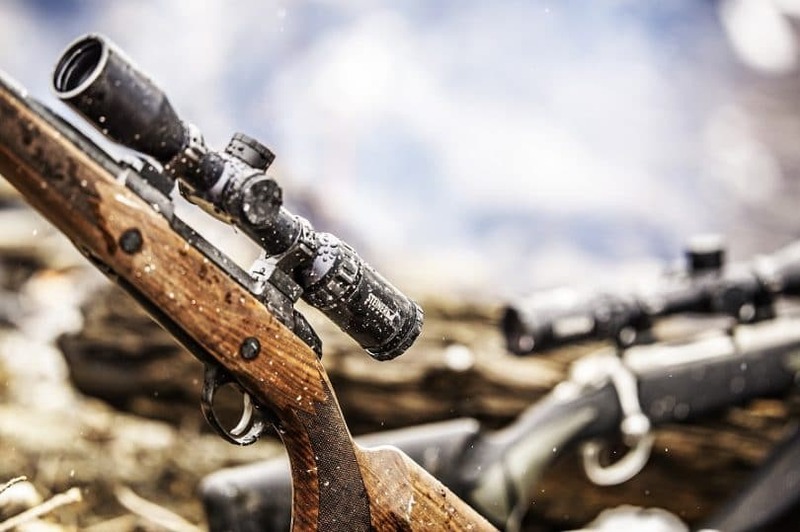 Description: This is the best rifle for elk hunting that weighs 6½ pounds. 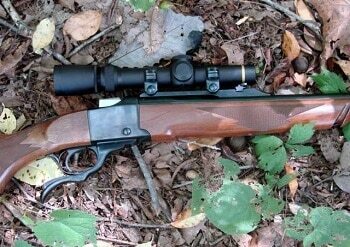 It is a short lever action piece chambered in .223 Rem. It has a contemporary design and parts made of light material, including: stainless barrel material & matte barrel finish; laminate stock material & satin stock finish; alloy trigger material & gold plated trigger finish; steel trigger guard material & buck mark in gold trigger guard engraving; aluminum alloy receiver material & matte nickel receiver finish. The individual part material and finish make the gun easy to carry, and maneuver. The lightning fast short lever action has side ejection, multiple lug breech, and strong rotating head. Apart from the aluminum alloy, the receiver is drilled as well as tapped to accommodate scope mounts. The 20-inch barrel has a crowned muzzle, and it is triple checked for straightness, interior finish, and air-gauged for regularity. The gun is installed with a wide groove trigger along with a smooth short pull. It has a convenient four-round detachable magazine. Moreover, it has straight ’81-style American walnut stock & firearm. Safety is a top priority. It features chamber lock, cable lock, and free trigger lock. Design Specs & Features: Classic grade; A wide variety of calibers; bolt action; center fire; matte black barrel & receiver finish; walnut stock finish; adjustable trigger; 3-position safety; 4-round magazine capacity; sling swivel; ebony forend tip; and hand-rubbed oil finish. Description: Kimber 84M classic select grade is a well-built big game hunting machine for the money. This is a highly versatile rifle because it is designed to work with an array of calibers, including .308 Win, 7mm Rem, and .338 Win among others. You will be pleased by each and every section of the rifle. The ultra-weight design combines hand finishing, classic make, and benefits of a Mauser claw extractor. The 22-inch barrel is made of steel with a matte finish, and it is fitted with sporter contour, match grade chamber, six grooves, and 9.5-right-hand twist rate. It has an adjustable trigger with 3.5-4 pounds trigger pull. The A-grade French walnut stock has a hand-rubbed oil finish. The stock also features: glass & pillar bedding, steel grip cap, sling swivel studs, ebony forend tip, 0.43-inch drop at comb, 0.54-inch drop at heel, 20-lines-per-inch checkering and one-inch Pachmayr decelerator recoil pad. The 84M action is made of steel with matte black finish. In addition, the action features 3-position wing safety, Mauser claw extractor, front locking repeater, and 4-rrouund magazine capacity. Generally, this piece is made with fewer dimensions to accommodate a variety of calibers. Design Specs & Features: 9.3 x 62mm single shot; American walnut stock; 8 grooves barrel; blued alloy steel; front bead rear, adjustable sights; 1 round capacity; sling swivel; 10-inch rifling twist; and 13.5-inch length of pull. 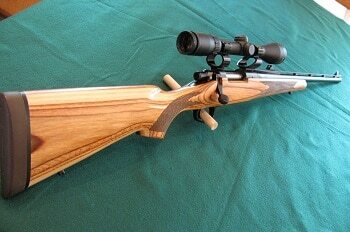 Description: The Ruger No 1-S medium sporter is a state-of-the-art single shot rifle for big game hunting. This is a highly versatile and user-friendly piece that is chambered in almost any caliber for taking down big game. The new Ruger No. 1 is the perfect modification of the original model that was introduced in 1966. Unlike bolt action guns, this machine is a short action, which makes the most of the ballistics of contemporary high intensity & magnum calibers. Therefore, it is considered a beast for long range shooting. This gun offers you a muzzle speed of 2360FPS, and muzzle energy of 3537 foot pounds. Design Specs & Features: 338 Marlin Express; lever action; 24-inch, 6 grooves stainless barrel; gray/black laminated hardwood stock; resourceful sights; 5-shot tubular magazine capacity; side cartridge ejection; drilled & tapped for scope mounts; and 1-in-12-inch twist. Description: Model 338MXLR is a well-built, 24-inch barreled rifle chambered in 338 Marlin Express, and the best rifle for elk hunting. This is one of the two tubular magazine guns with the ability to shoot up to 300 yards. 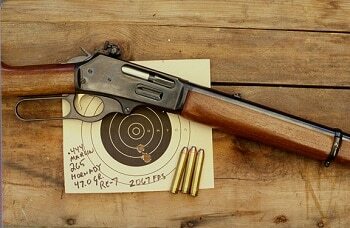 The lever action smooth operation is made possible by the presence of the following: fluted bolt, hammer block safety, loading gate, magazine tube, trigger guard plate, lever, stainless steel receiver, and side ejection. 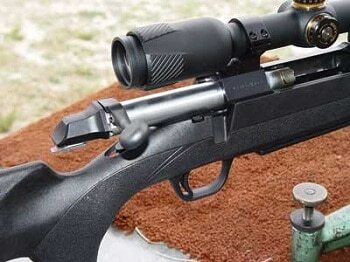 The stock is made to offer maximum performance when aiming. The stock is made of gray/black laminated hardwood pistol grip, nickel-plated swivel studs, deluxe recoil pad, cut checkering, and fluted comb for the pistol grip. It is incorporated with an adjustable semi-buckhorn folding rear sight, along with ramp front sight. Design Specs & Features: 243 Win; short action; 13-3/4-inch length of pull; 1/2-inch drop at heel and comb; barrel (steel, contour sporter, & high gloss finish); stock (black walnut, & satin finish); receiver (steel, & high gloss finish); trigger (steel guard, & stainless brushed polish finish); hinged floor plate magazine & 5-round magazine capacity; gloss blued steel pistol grip cap; and drilled & tapped for scope. Description: Model 70 Super Grade is the best and most resourceful big game piece for the hunters. This is a classic bolt action model, which is highly polished finely checkered and deeply blued steel. It is fitted with stylish grain walnut stock fitted with shadow line cheekpiece, which outlines the accuracy and timeless grace of the gun. The action and stock rigidity is reinforced further with the inclusion of a 1-piece steel bottom metal. It’s free floated barrel improves performance and pinpoint accuracy. The 3-position safety displays safety standings at a glance. 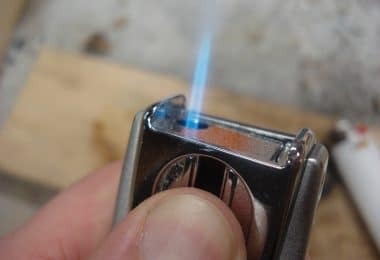 The ejector (blade-type) offers complete control of the ejection force. You will notice that the Super Grade has jeweled bolts, raised cheekpiece, and superior wrap around the checkering. It is a lightweight piece; therefore, it is easy to carry around and maneuver. The Pachmayr decelerator recoil pad provides ideal fortification against felt recoil. The MOA trigger system ensures you have remarkable accuracy because it is designed with zero creeps and take-up. It is compatible with iron sights. This is a legendary weapon because it is an original design. It was engineered from the outset for serious hunters. Design Specs & Features: 243 Win; short action; matte black stock; composite finish; sling swivel pad; 4-round magazine capacity; 10-inch rifling twist; 13.75-inch length of pull; synthetic stock; blued barrel and receiver finish; smooth-feeding cartridge depressor; hinged floorplate, high-tang safety; and hand-chambered, free-floating barrel. 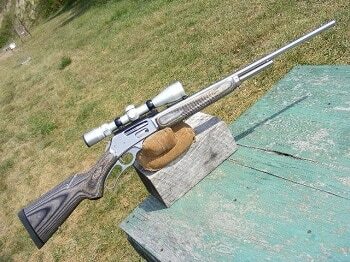 Description: The A-Bolt Composite Stalker is a short action piece chambered in 243 Win, among other few calibers. A feature unique to this model is its composite stock. Apart from the composite material, the stock has a Dura-Touch armor coating finish. The composite material is heavy duty and convenient for a big game hunter. When compared to the walnut, the composite is always superior. The stock can comfortably take a serious beating without disrupting the gun’s performance. Also, the stock is fitted with a secure grip that extends from the forearm of the rifle to the pistol grip. This is an innovative big game shooting machine that provides you with reliable accuracy for a smooth takedown. It uses patented, smooth-feeding cartridge depressor, which maintains its spot free of the bolt rotation. The free float barrel is reinforced with glass at the front of the receiver and the recoil lug. This ensures there is adequate spacing above the tube for continuous accuracy. The receiver, bolt, and barrel are completed in a non-glare, flat surface. It is without a doubt a rugged gun for demanding and precision shooting. Design Specs & Features: 270 Wby. 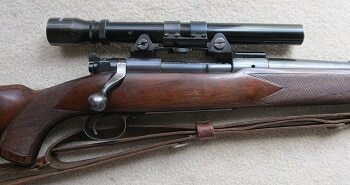 Mag; 1-10-inch rifling twist; 0.875-inch drop at comb & 1.375-inch drop at heel; 13.625-inch length of pull; steel/blue material/finish; walnut w/ rosewood forend stock; drilled & tapped for scope mounts; fine checkering, cocking indicator, and fully adjustable trigger. 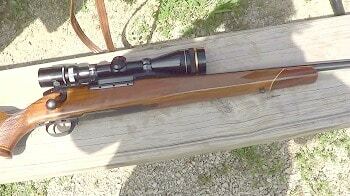 Description: This is a bolt action, big game hunting gun that is chambered in 270 Wby Mag along with other few calibers. The design includes a steel receiver and steel that have remarkable blued finish. It has an ergonomically improved stock with unique lines & contours along with a slimmer forend. The stock’s design and material make the weapon lighter. This provides you with improved target acquisition and comfortable shoulder shooting. The trigger’s engagement surface is polished as well as the precision ground. The trigger’s wider face offers improved trigger-to-trigger contact. Design Specs & Features: 308 Win; center fire rifle; bolt action; laminated stock; 3+1 magazine capacity; 2-position thumb safety; blued barrel & receiver finish; and very good bore, metal, and stock condition. Description: Introduced in 2003, Model 673 Guide is a bolt action rifle that features a 22-inch barrel chambered for 308 Win, 350 Rem, and 6.5mm Rem. It is fitted with adjustable rear sight for improved target acquisition. The stock is dark and light tan laminate w/ checkering. It has 3+1 magazine capacity. 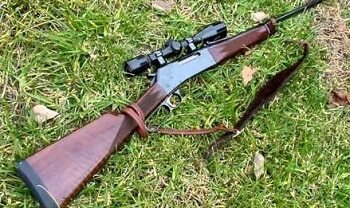 Basically, this is a revival of Model 660 (which was not appreciated as such when first introduced in game hunting). Model 673 is a matchless elk gun, compact, powerful, and manageable. The hinged magazine floorplate as well as the trigger guard are made of aluminum, making the rifle weigh less. Generally, this is a well-rounded model which is light enough to carry and yet heavy enough to reduce massive recoil to a manageable level. Design Specs & Features: 338 RCM; American walnut/black synthetic stock; adjustable rear sight & brass bead front sight; 3-round capacity; 1-in-10-inch twist; 13.5-inch length of pull; drilled & tapped for scope mounts; alloy steel/blued/stainless steel material/finish; LC6 trigger; 3-position safety; steel floor plate; Mauser feed extractor; and sling swivel studs. Description: Ruger Compact Magnum includes Ruger LC6 trigger, Ruger scope rings, hammer forged steel barrel, 3-position safety, claw extractor, Mauser type controlled feeding, and new red rubber recoil pad. It is fitted with a walnut stock that is made up of wrap-around cut checkering on the forearm, and more rounded contours on stock and top of the pistol grip. The synthetic stock has matte stainless finish. What differentiates this model from the rest is it being a genuine magnum. This piece is found in a left-hand model, and it is highly recommended for big game hunting. Design Specs & Features: 444-Marlin; lever action; deep-cut Ballard-type rifling w/ 6 grooves; 1:20-inch twist rate; adjustable semi-buckhorn folding rear; and 5-shot tubular magazine capacity. Description: This is the ideal rifle for hunters looking for a more powerful. This is the best .444-caliber short range game rifle with lots of knockdown power, and the ability to bust through brush. Its lever action features: hammer block safety, blued metal surfaces, solid top receiver, and side ejection. The 22-inch barrel has 6 grooves and it is deep-cut Ballard-type. One thing you should know about the ammo is that it was never, nor ever will be, a long-range affair. However, it is one of those cartridges that are so good at what they are intended to do, that it will be around for a long time. Therefore, you have every reason to settle for the 444 Marlin. You can argue with your hunting buddies the merits of elk rifles until sunset, discussing caliber & ammo choices, actions, stocks, barrel, muzzle profile, and scopes, but the bottom line is always the same. Shoot whatever you want as long as you can hit the target with precision. There is no perfect rifle, but the best shooter. What makes you the ideal shooter is the power delivered by your gun. 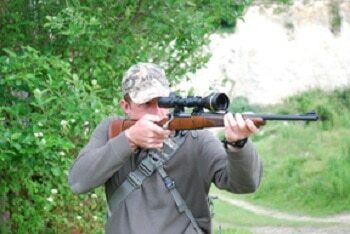 There are many big game hunting rifles in the market that you can choose from, but the ones reviewed in this post are the most effective ones. 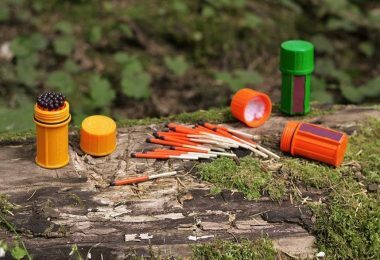 Do you think we have left out any resourceful products? If so, let us know in comments.